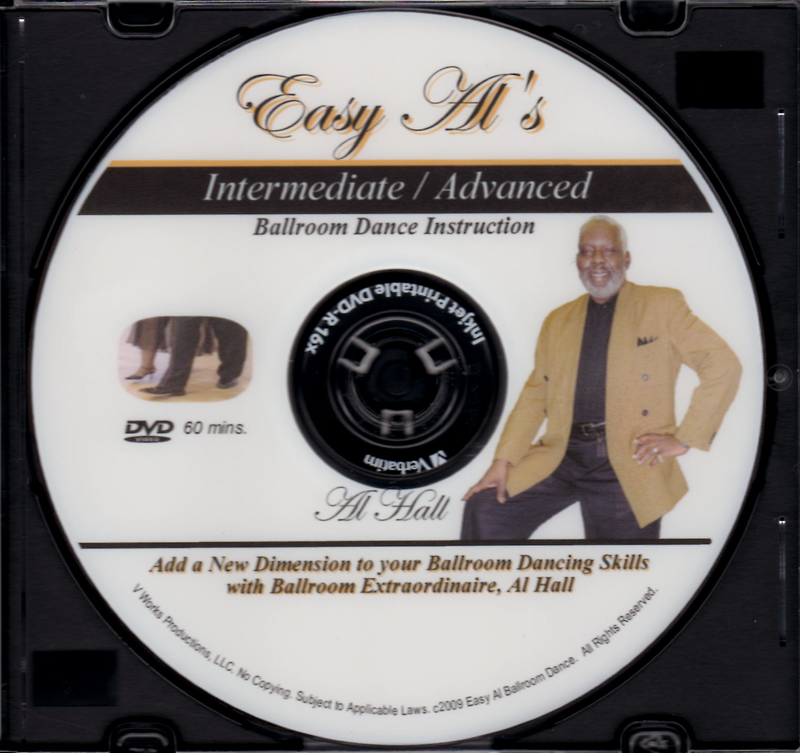 Hi, I’m ballroom dance extraordinaire, Al Hall and I have a few questions for you! Do you have two left feet and want to quickly learn the basic steps to ballroom dancing? Do you shy away from the classroom or the nightclub dance lessons because you don’t want to be embarrassed? 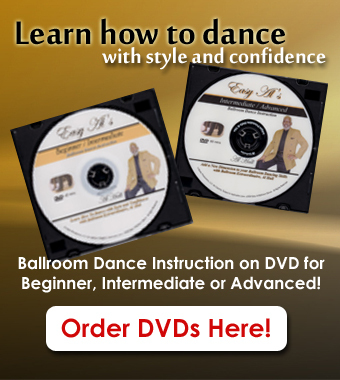 I’ve got the answer for you; my Beginner / Intermediate Ballroom DVD. So you have mastered the basic ballroom steps! Now you want to look good and smooth for the next social event! Are you a seasoned ballroom dancer, and would like to add some unique ballroom moves to your arsenal? I recommend my Intermediate / Advanced Ballroom DVD. Whether it is 15 minutes or 1 hour, you can practice at your own pace. Pick back up where you left off at any time. The DVDs are chaptered to specific steps, so that you can go directly to any dance move for extra review. I teach you the moves from the frontal and back views. Each move builds on the previous move. Learn and practice in surroundings conducive to your own comfort zone. I have been teaching ballroom dancing for over 10 year. Ballroom dancing is a great activity for couple to strengthen their relationship and fill with romanticism. Ballroom dancing and classes are a fun and safe way for singles to meet friends, partners, and build relationships. Join our Free VIP Club and Receive a Free Entry VIP Pass or Free Dessert at 1st Sunday Dinner at the Showplace! 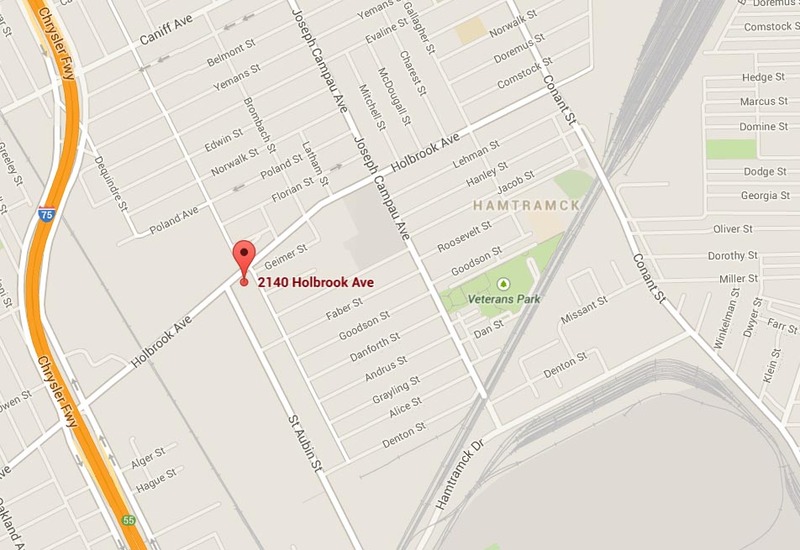 Copyright 2014 · Ears Showplace · 2140 Holbrook · Hamtramck, Michigan 48212 · (888) 321-3277 · All rights reserved.